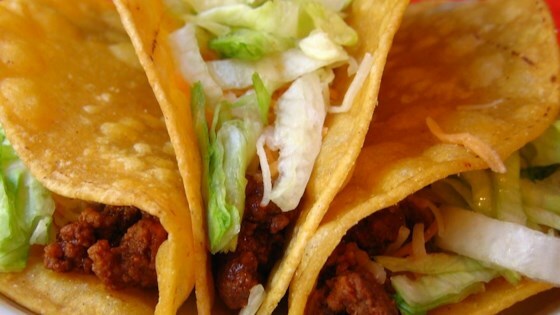 "Home made crunchy taco shells are excellent! Use home made tortillas, or corn tortillas from the store." There is a way to make them crispy without added all the fat from frying. Spray them with coooking spray and drape them over the rack in your oven. Bake until crispy. if yours are chewy, it means the oil wasn't hot enough! Tastes a lot better than the ones you buy pre-cooked in a package. I don't think you need to add salt if you're using them for tacos. It is probably my fault, but these turned out really greasy and chewy even when served 2 minutes after cooking.....maybe I should bake them after cooking them in the oil?? Suggestions?? ?